GRAVITY FOUND AN OPPONENT TO ITS MEASUREMENT. The Code is the standard for freeride and downhill, and now, thanks to a redesigned and complete design, it is about to surpass. With the introduction of TaperBore technology and a sleek new integrated reservoir, you have more control than ever for a weight that will leave you speechless (and help your bike off). 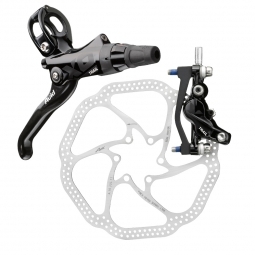 For just 410 grams, this brake is super attractive, solid as a rock and ready for departure. It is as if the gods had created a soul mate for your bike. With the ability to generate perfect by adjusting the point of contact sensations, the Code gives you the power to go faster. The heavy duty bracket with four pistons and finesse accompanying modulation of important movement of the Code are the difference between the act of placing hands down ... and wallow. 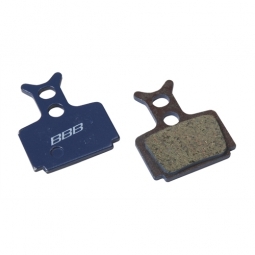 It is not the name of a sauce but a secret magic and skills that make some brakes are more than just great.